After Saleh: Is Yemen’s Opposition Willing to Settle? With Yemeni President Ali Abdullah Saleh holed up in a Saudi hospital, Yemen has settled into a relative calm. But the situation is not so much improved as it is temporarily pacified by uncertainty. Saleh’s aides are insisting that he will return to Yemen soon; meanwhile, diplomats from the six-nation Gulf Cooperation Council, the United States, and the European Union have swooped in to pressure Saleh, even in his hospital bed, to officially resign. Doing so would start the clock on a process of transition outlined in Yemen’s constitution, which mandates that a new presidential election be held within sixty days, or as soon as is feasible. But would this mollify the opposition? 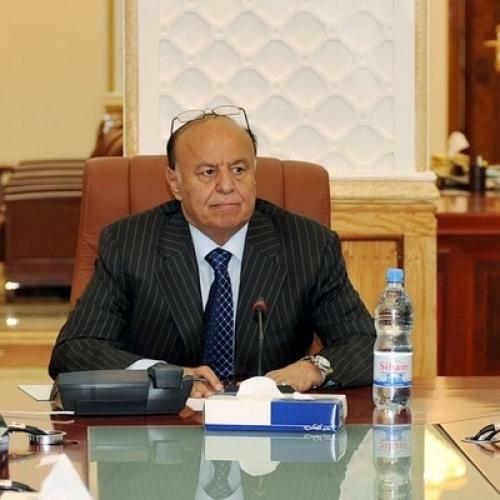 Since assuming the interim presidency, Hadi has reportedly met with both Saleh’s son, Ahmed, who has been living in the presidential palace, and Saleh’s nephews, who collectively control a powerful swath of security forces in Yemen, including the Republican Guard, the Central Security Force, and all U.S.-trained counterterrorism forces. This has not endeared Hadi to the opposition. After all, when the protest movement began in February, leaders called for not only Saleh’s ouster, but for the removal of his son and family members from positions of power as well. Moreoever, some opposition members worry that, even if Saleh does not return immediately, he could potentially use his powerful network of loyal colleagues and family members—including Hadi—to continue to control the country. “What kind of revolution allows a dictator’s family and friends to keep all the power?” asks Yahya al-Harafi, a protest leader in Taiz. It’s for this reason that the proposed transfer of power to Hadi is simply unacceptable, protesters argue. “I don’t trust him,” al-Harafi adds, in reference to Saleh. “Unless we get rid of him, and then dig out his administration like a weed, he will keep coming back.” As an alternative to Hadi, a prominent group of protesters has begun advocating for an independent “transition council,” which would take power away from Saleh’s administration and oversee the formation of a new government that is not built around the man who served as Saleh’s vice president for seventeen years. But the opposition isn’t united on this point. Some moderate opposition figures, many of whom formerly served within Saleh’s ruling party before defecting this spring, are backing the idea of a transitional government led by Hadi as the surest way to avoid another escalation of violence. “This is a key step—a courageous step,” Sheikh Mohammed Abulahoum, a former ruling party member who recently founded a new opposition party, the Justice and Building Party, told me over the phone. “This is our chance to maintain our institutions and stability while pursuing democratic progress. The revolution has been a success, but now Yemen is at a critical moment. We need reconciliation and compromise.” In addition, the al-Ahmar family—which heads the powerful tribal confederacy, the Hashid, and had been engaged in a week-long street battle with forces loyal to Saleh—supports a transitional government, Abulahoum says. In other words, even as the opposition agrees that Saleh should go, it appears divided over the question of what comes next. Haley Sweetland Edwards is a journalist living in Tbilisi, Georgia. She recently lived in Yemen on a grant from the Pulitzer Center for Crisis Reporting.